Tim: Skip to the end. 21st century is made up of friends..
Wright's first project that placed him on the radar as a smart comic director cannot describe more of his work than this. And with his fast, clean and well edited procedure he worked his way up the ladder from then on, on nothing but merit, passion and brilliant sense of humor. Mind you though, this is not the origin story of just the popular 21st Century director Edgar Wright, but also one of the finest British comedy actors and writers, Simon Pegg and Jessica Hynes. Most presumably the first writing is considered a sort of a sneak peek into their own lives of the writers and similarly in here even though the plot might not follow that rule but the characteristics of the characters definitely feels like a semi auto-biography. And with two short seasons on helm, Pegg and Hynes charges honestly on what they have to say- which is mostly the pragmatic uncertain lifestyle of a young person in a town trying to make something big with all the scams he or she can or cannot afford- with a sugar-coated version of pop culture references that is meant to and does appeal the attention. 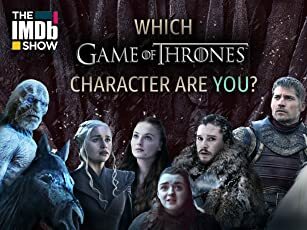 Most of the humor in their language, is got to do with over dramatizing petty things or mocking the actual dramatic moments, either way the entire series feeds on an ironical note. The Guy Ritchie like fast and rhythmic execution of Edgar Wright gets better as the series moves forward, a major drastic change is clearly visible when it enters the second season. Pegg as almost himself that is a stereotypical- if I may dare- nerd and Hynes as a non workaholic writer that does everything in the series but write, shines brightly on screen as they both challenge themselves while writing, on both comic and dramatic tone. The supporting cast like Nick Frost, Mark Heap and Julia Deakin are clearly akin to invest with all their chips in without any bars held in order to work for just a frame and still manages to draw in their share of the laugh. 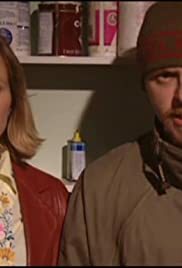 Spaced has every right to call itself that, over the seasons it tries a lot to be something else than that and yet ends up being all about it, and that is the apt summation of a 20s lifestyle. This second round is much more fast and expressive on terms of both humor and drama, if it mocks all that it craves for that it also certainly solidifies that it feeds itself on, there is a maturity in its levity. A double bluff by the writers with a satisfying closure to this chaos that these eerie group of friends, not a dent changes and maybe that is its evolution, a pragmatic approach to a modern lifestyle or as it claims to be a 21st century civilization.